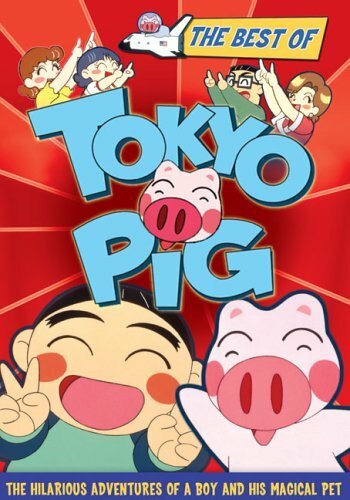 Tokyo Pig is a wacky comedy that depicts the misadventures of a young boy named Spencer and his magical pet pig named Sunny. Before the two met, Spencer's life was rather boring. His life changes when he is assigned a diary. Instead of writing about his own life, he creates wild fantasies about what Spencer wishes would happen, soon enough his diary also turns out to have magical powers and everything he writes about comes to life. He creates a million pigs from his imagination. However one gets left behind when Spencer erases the results of his wish. This is how Spencer and Sunny met, and this was only the beginning of the weird misadventures that Spencer and his friends face in Tokyo Pig.